Tai Chi can be seen as a journey. The stretching, turning and constant weight transfer are good for circulation, balance and flexibility even for beginners. Learning the full set, the student discovers that moves can be constantly refined for deeper benefits and that the journey need never end. Tai Chi Journey is a group of four tai chi clubs with a common vision, mission, values and guiding principles. Our mission is to help people maintain and improve their physical and mental health through tai chi and related forms, in a holistic manner. Our classes are open to new beginners and to experienced students who wish to continue their practice. Our Head Instructor is Patrick Leung. With a strong background in martial arts, Patrick brings a deep understanding of the roots of tai chi and the health benefits of practicing this form. 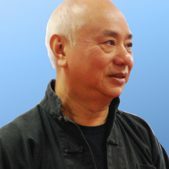 He is dedicated both to teaching new students and to helping experienced students refine their tai chi and lok hup to develop the internal aspects of their practice.